Welcome back, everyone, and happy 2017!! It's the start of a brand new year, and we're super excited about all the great things God has blessed us with for this new year of sharing our artistic talents with one another. If you take a look at the side-bar, you'll see all the wonderful sponsors we have lined up for the year. Some have been with us for quite some time, and some are brand new to us. We praise God for supplying ALL our needs, and as it always with Him, He has blessed us exceeding abundantly! We want to say a HUGE thank you to all our amazing sponsors. We are truly grateful for their generous support. 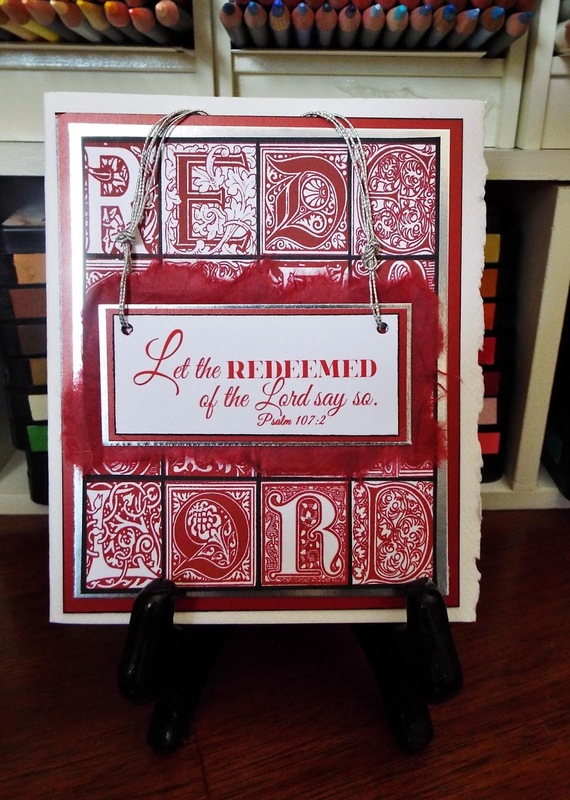 Our word art for this challenge was created with the verse Psalm 107:2 that says, "Let the redeemed of the Lord say so". When translated, the original meaning of the word "redeemed" is delivered or rescued. One might ask, "delivered or rescued from what"? Well, the answer to that is....to be RESCUED FROM ETERNITY IN HELL....SEPARATED FROM GOD FOREVER. I can't imagine the pure torture of one single second without Him. But to be separated from His almighty presence for ALL ETERNITY is too much to even imagine. It also refers to our deliverance from danger. At the time, God's people were being delivered from their captivity in Babylon. Praise God, we can also be delivered (rescued and safe from danger) for ALL ETERNITY. So, if you are redeemed (saved, rescued, delivered and safe) by the blood of our the ONLY ONE TRUE GOD, Jesus Christ, then SAY SO!!! Tell the world that you are redeemed and set free. This news is too wonderful and to important to keep to ourselves. 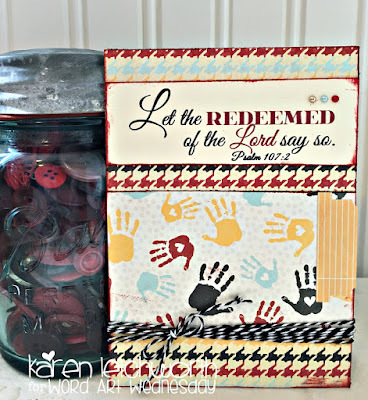 Let the redeemed of the Lord say so!! 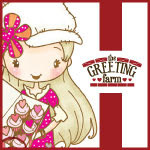 Please stop by The Greeting Farm to look around! 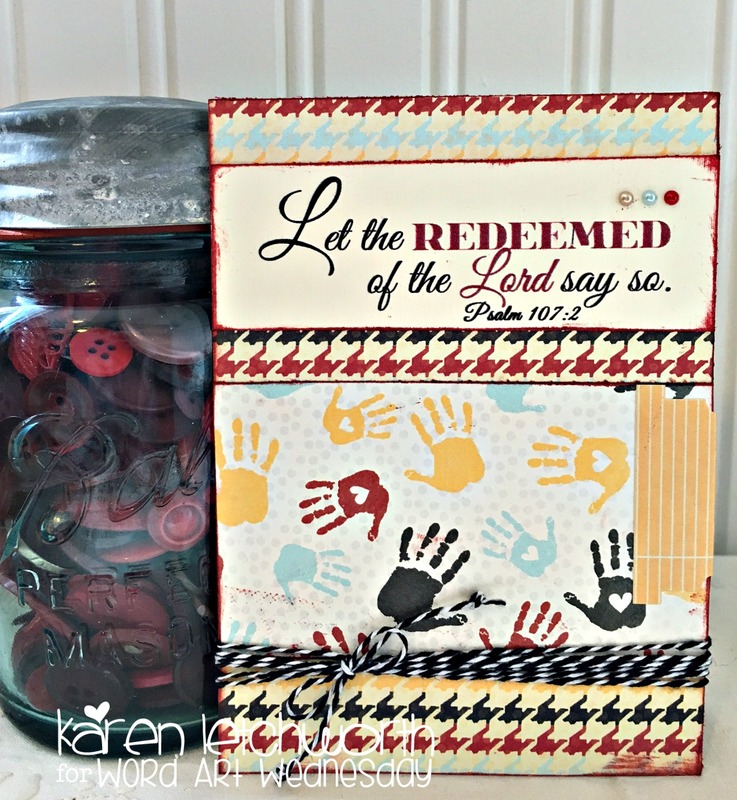 You can check out Craftin' Desert Divas here. Ahhh what a truly wonderful verse, let the Redeemed of the Lord indeed say so, today is my spiritual birthday it's 51years since I trusted in my Lord Jesus as Saviour and Friend, how very rich I am in Him. Thanks for the blessing of your fortnightly challenge. Lovely work and inspiration!! Happy and belessed New Year to you all!! Thank you for the challenge and verse. Lovey work by the design team. Thank you for the new challenge - blessings! Thank you for selecting my 'card' as one of your top 3! Super excited! and I posted my top 3 badge on my blog award page! And your design team has inspired me again! Beautiful work! 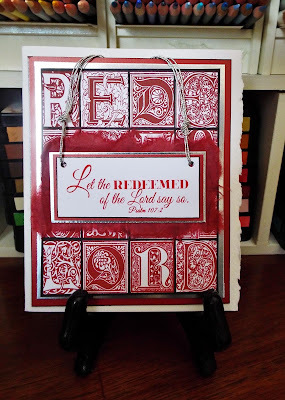 Thank you for the devotional and scripture word art! Fabulous DT inspiration again this challenge. I love the inspirational messages here. 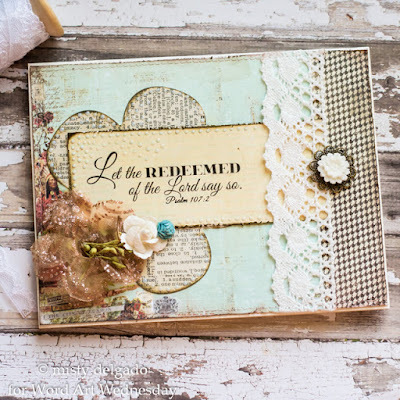 I like to use them in my bible journal. 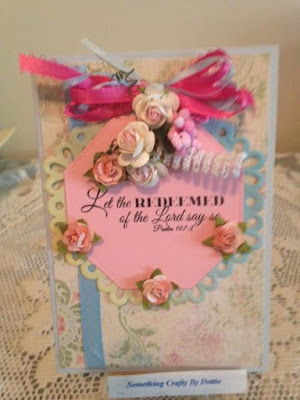 I am sharing a card project today. Happy to play along. Thanks for another wonderful challenge and great inspiration from your DT! Am so encouraged by this verse! Am going to handprint it INSIDE my card since it is already with another sentiment on the outside! Love your blog! Happy New Year, WAW! I'm sorry I had to post my cards all at once, but I am not feeling well and I procrastinated until the last minute. Now I have to go to bed. Hope everyone else is doing well.